(7) Measure under arms, around fullest part of bust. 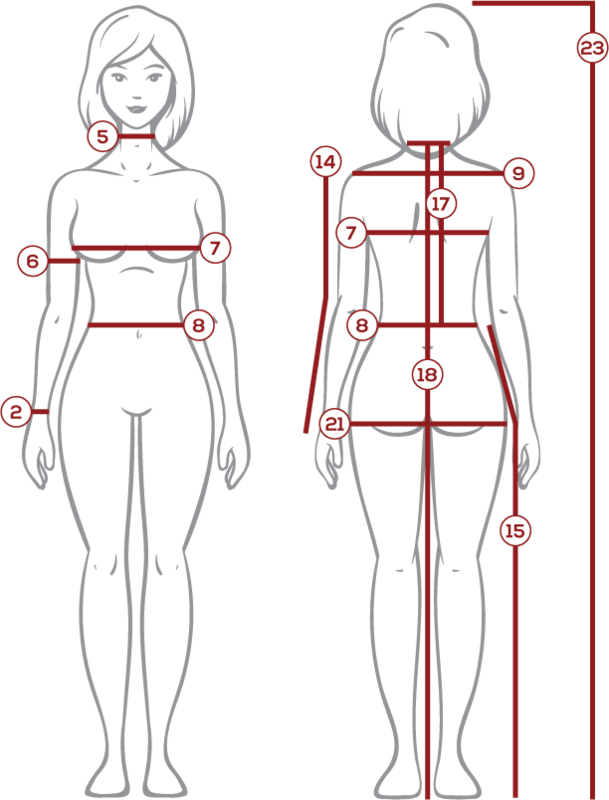 (8) Measure waist circumference (completely around) at an even height against bare skin. Keep a finger between your body and the tape when reading your measurement. (14) Measure from shoulder seam to 1.5 inches lower than wrist bone. (15) Measure from waistline to desired lower hem. For the most accurate measurement, wear the same footwear that you will wear with your garment. If you will be wearing a hoop skirt, please measure with the hoop skirt. If we will be providing the hoop skirt, please inform us of this and we can adjust your measurement. 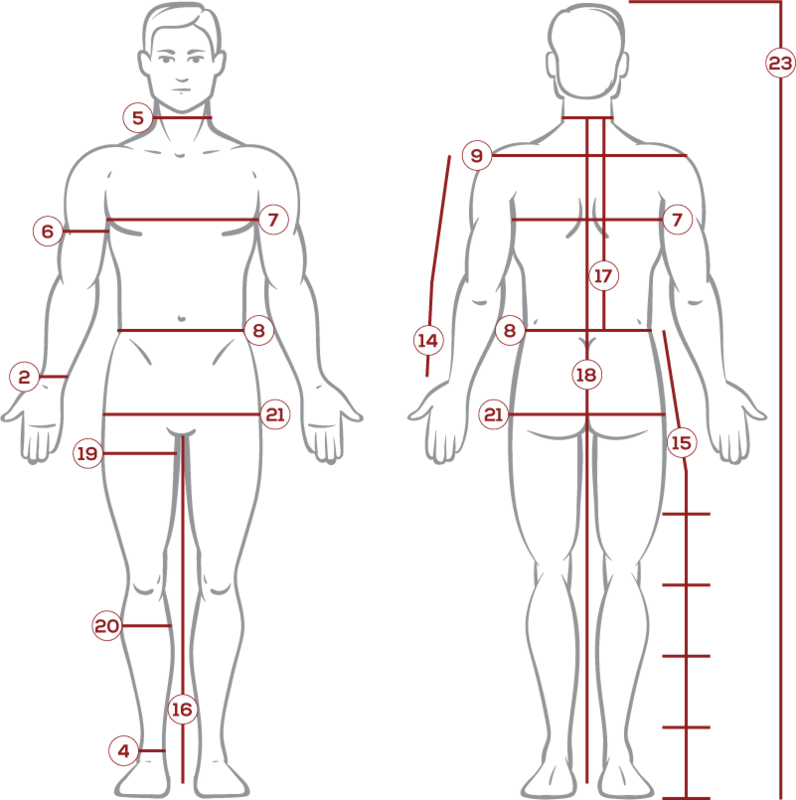 (21) Measure circumference (completely around) of the fullest part of the hips.